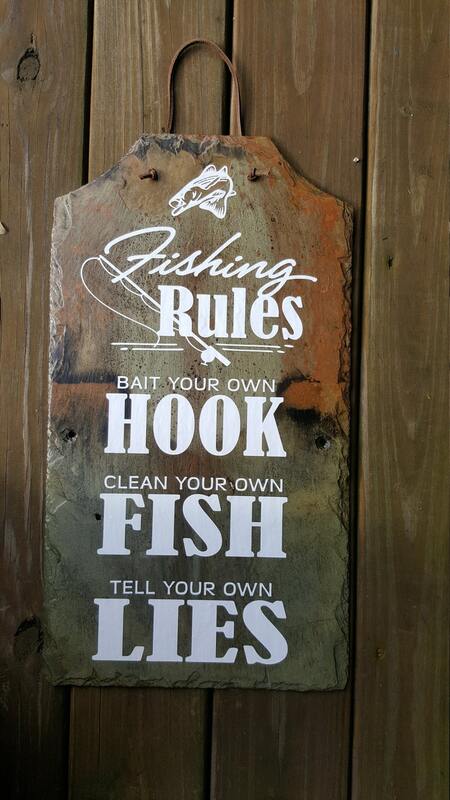 This is a truly unique Fishing Rules slate sign. Each piece of radial cut slate is unique in it's edging and color variations. No two are exactly alike. These slate were originally from an old barn roof in Slippery Rock, Pennsylvania. A perfect Father's Day Gift or a Gift for any Dad who loves to fish. But of course, it's not limited to men! Anyone who loves to fish will enjoy this little bit of fishing humor. 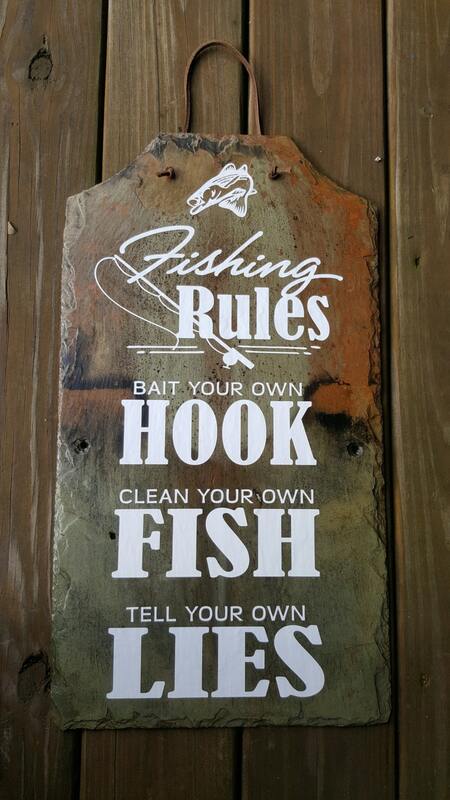 A great addition to any Lakehouse décor or fishing cabin. Our slate sign measures approximately 12" wide and 22" tall. It comes as shown with a leather lace at the top for ease of hanging.